Traditionally known as a country of emigration, the past decade has seen an increasing inflow of migrants from sub-Saharan Africa transiting through or settling in Tunisia. Official statistics show that between 2004 and 2014 the number of all immigrants in Tunisia increased by 66 percent – a figure that does not take into consideration the estimated 10 000 migrants residing in the country without documentation. Despite this trend, granular information on sub-Saharan African migration remains scarce. A question gaining notable traction is, whether EU measures imposed to curb migration via the central Mediterranean route from Libya are making Tunisia a new transit country. In order to provide information to answer these timely questions relevant to humanitarian actors, policymakers as well as the wider public, REACH and Mercy Corps conducted an in-depth study titled Tunisia, transit and destination country for sub-Saharan migrants published in October 2018. The qualitative study draws its conclusions from 62 interviews and seven focus group discussions with male and female migrants from sub-Saharan Africa. These findings are coupled with close to 20 expert interviews with researchers, authorities and NGO representatives. Despite the changes seen in migration trends across the region and most notably in Libya, the assessment found little evidence to support a strong conclusion of a new transit hub emerging in Tunisia. Almost all respondents expressed Tunisia to be their intended destination when they first left their country of origin, and instead of arriving in Tunisia to continue their journey further, migrants highlighted education and employment opportunities as key drivers for them to settle in the country. These opportunities were further amplified by the possibility of a visa-free entrance when arriving via air. In spite of the shared notion of vast opportunities in Tunisia, the report underscored a set of challenges faced by migrants arriving from sub-Saharan Africa. Access to legal documentation, regular employment, healthcare and housing as well as strained relations with the local community were noted as most pressing challenges once in Tunisia. The migrant profiles singled out as most vulnerable of all arrivals from sub-Saharan Africa were female migrant workers, pregnant women and newly arrived migrants. Female migrant workers were noted to face an increased risk of abuse and exploitation due to them often residing in the homes of their employers. A condition aggravating vulnerability regardless of gender and status was being in the country without valid documentation. Even though Tunisia has visa exemptions for various sub-Saharan countries, if a non-Tunisian overstays the time set in the visa, including overstay due to delays in the renewal of residence permits, it is increasingly difficult for a migrant to leave the country without facing significant penalties. Several respondents noted that the fear of penalties and the inability to cover these penalties has led to a vicious cycle where migrants further overstay their visas and are thus forced to stay in the country irregularly or to cross the border to Libya illicitly to exit Tunisia. Despite challenges in settling into Tunisia, the majority of sub-Saharan respondents expressed that they intend to stay in the country for the time being. This, combined with the notion that Tunisia was the initial destination expressed by the migrants, led the report to conclude that Tunisia is a de facto destination for significant numbers of migrants from sub-Saharan Africa. Evidence on Tunisia’s potential role as a transit country to Europe is mixed. Even though more than half intended to stay in Tunisia for the six months following data collection, responses began to vary when stretching intentions to a timeframe of 12 months. The REACH and Mercy Corps report explores various drivers for immigrants from sub-Saharan Africa to opt for Tunisia for short-term, long-term or transit stays. Read the full report here. The report found that factors influencing movement intentions were largely linked to the challenges and conditions migrants experienced in Tunisia. Several respondents expressed challenges in integrating to their new home and most noted that Tunisia was a temporary destination serving as a place to complete a degree, save money and explore or scout for other options. In the course of data collection, the assessment team also found that discussing Tunisia as a transit point for an onward journey to Europe was a sensitive topic for many. Only a few of the interviewed migrants expressed an intention to go to Europe, yet the majority of respondents knew someone who crossed from Tunisia to Europe over the Mediterranean. The report also noted that the ones with intentions to continue their journey were more likely to have arrived in Tunisia via fragmented routes with already significant exposures to risks. While more research efforts are required to gauge the scope of Tunisia’s role as a transit country and the dynamics influencing the choice of destination of migrants, neighbouring Libya remains a migration hub that should be monitored carefully. Of all the transit routes mentioned by the interviewees, Libya was noted to be the most traumatic one. 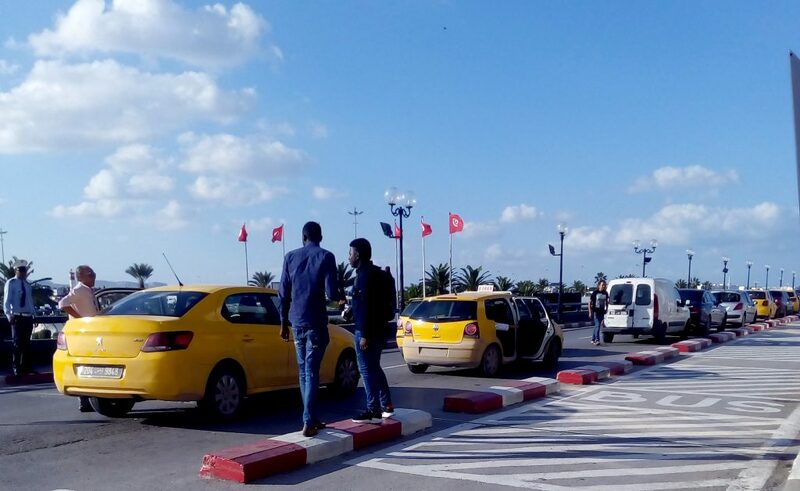 The report noted that since 2017, Tunisia has seen an increasing number of irregular land crossings from Libya by sub-Saharan migrants, especially when compared to the crossings taking place from Tunisia to Libya. With little stabilization measures in sight in Libya, the pressure for Tunisia to serve as a transit location is likely to increase. The significance and impact of the growing trend call for further research to movement dynamics across the two countries. Read the full report Tunisia, transit and destination country for sub-Saharan migrants and explore further REACH information products in the REACH Resource Center.